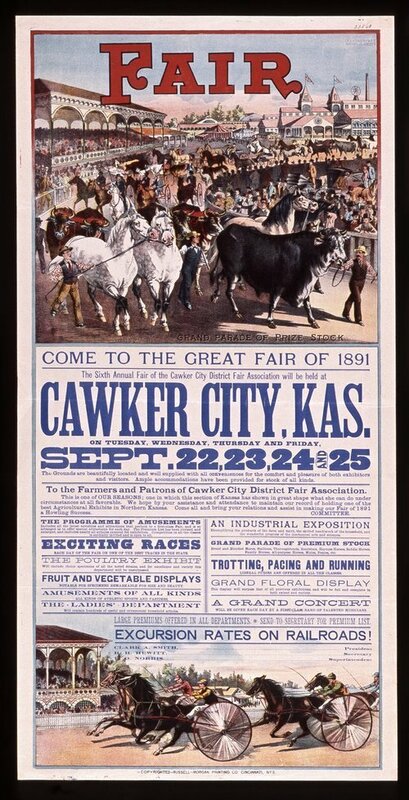 This poster announces the sixth annual fair at Cawker City, sponsored by the Cawker City District Fair Association. Highlights of the fair include premiums, racing, livestock and poultry, and reduced railroad rates. The poster includes color illustrations of livestock, sulky racing, and fair grounds.